As a part of today’s Ohio Blogging Association‘s All State Blog Swap, I’m happy to introduce you to Renee from The Brewer’s Daughter. On this day, bloggers from around the great state of Ohio are guest posting on one another blogs as a way to help to get one another in our blogging community. For a full listing of blog swap participants, please visit Poise in Parma today. Now onto Renee. The summer solstice is June 21st, but it’s coming up on Memorial Day, and temperatures on the North Coast have already climbed into the 80s–our unofficial start to summer! This means it’s patio season in Cleveland–my favorite time of the year. Tired of being locked indoors by cold and rain–though not a particularly snowy winter– folks in Northeast Ohio are literally coming out of the woodwork to enjoy the many patios at restaurants and bars across the region. It seems nearly every venue’s got one. Personally, I love the outdoor settings in my hometown of Chagrin Falls: longtime favorite Gamekeeper’s Tavern; the newer Burntwood Tavern; standby Rick’s Cafe has made room for outdoor dining; and even the local Eagles Club has gotten in on the patio act. In Cleveland, the Market Garden Brewery has a beautiful beer garden; on East 4th Street the Greenhouse Tavern has a great rooftop patio–and everyone else there has tables out on the brick walk for watching the world go by. Meanwhile, Shaker Square and University Circle are home to some great outdoor drinking and dining–as are Little Italy’s sidewalk cafes. The Winking Lizard’s newest Independence restaurant has a fabulous patio with views of the CLE. The Gordon Square district has some great patio spots like Luxe and XYZ Tavern, and then there’s Ohio City’s Momocho… and Tremont’s Southside–just a couple of my faves. 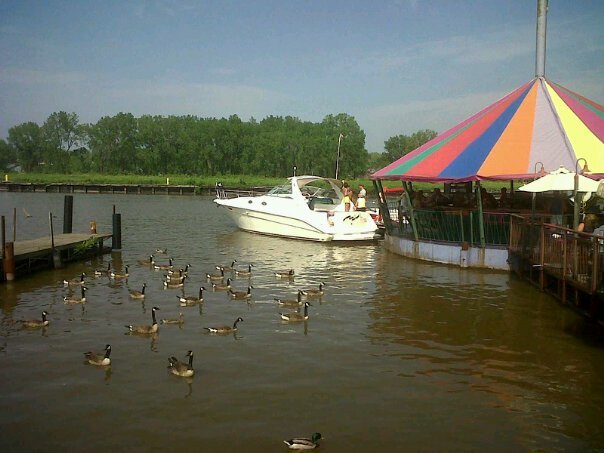 And let’s not forget our many coastal outdoor hotspots such as Pickle Bill’s and all the restaurants on the Lake Erie Islands! Whew! There are so many great patios across the 216 and beyond–which one is your favorite? This entry was posted in Uncategorized and tagged Beer, Blog Swap, Cleveland, Downtown C-Town, Drinks, Memories, Patio Drinking, Summer '12. Bookmark the permalink. I love a good patio! Gamekeepers is always a favorite. One you didn’t list that is super fab is Blue Canyon – their patio rocks!! 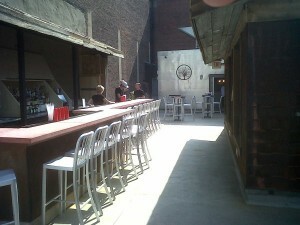 Patios are great, we are fortunate to have some nice Cleveland weather to enjoy it! 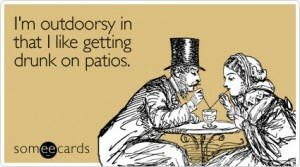 Love a good patio as well! We are lucky that we have some nice weather so far to enjoy it!